Scratched, stained, dented? No worries, here at Floor Sander Hire, we can help you. It’s vital to know which kind of finish is on your wooden floor; oil, water-based, wax, varnished, stained or aluminium oxide? 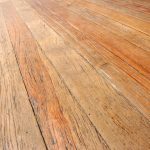 This will help you identify which methods are best for your floor, reducing the risk of further damage to the wooden floor. In this blog, we will be identifying ways in which you can try to remove those pesky marks and dents. Hardwood flooring is a sensitive material, so using the correct chemicals or substances on the wood is important. Using softly bristled brooms on the floor will help to keep your floor dust and dirt free, another great way to get rid of dirt, debris and dust is vacuuming. Using a soft vacuum head will help to remove all the dust from those hard to reach areas as well as nooks and crannies. Mopping is also an efficient way of keeping your floor looking as good as new, a bucket of warm water and soap will do the job just fine. It's important to make sure you are using a new mop head, which has not got any dirt and debris on it. If the mop head is dirty it could cause the floor to become scratched and cause further damage. Using a Bona Wood Floor Refresher can help to revive dull areas and scratches, making your floor look as good as new. This is recommended for those floors with minimal and light scratching on unwaxed floors, this also adds protection against scratching in the future. Sand Out Your Stained, Dented or Scratched Wooden Floor. Many people are unaware of the benefits to sanding, it’s one of the best ways to bring your damaged floor back to life, efficiently and easily. When it comes to sanding your floor, you will need to do some preparation beforehand. If the majority of your floor is damaged, it’s worth hiring a floor sander and doing the entire floor, this will save you lots of time and money compared to purchasing a new floor. Sanding your floor will remove stains, scratches and even dents, making you floor looking brand new. This combination has been floating round homes for centuries, used to remove scratches from your stained wooden floor. This is something we recommend you try out in a small, hidden area before completing the entire floor, it’s a home remedy meaning it may work for some but not everyone. The first step is to make sure your floor is clean and dust free. Then apply the combined mixture on a patch of damaged flooring, give it a little while to soak and then buff it in, then clean it thoroughly. Dry thoroughly with a towel to make sure there is no oil or substance left on the floor. Staining your floor is a great way to hide those little stains. We would still recommend using a Floor Sander beforehand, to remove all scratches, dents and stains and then using wood stain on top. They come in different varieties which include, oil, gel, water and combination-based stains. Using oil-based stains may take a lot of time for your floor to dry out. But once it does, you will have a long-lasting solution. Water-based products are also available, and they take a shorter time to dry which make them a good option for urgent work. Other stains are also good as they also do the work within a shorter time but have a long-lasting effect. If you need any further advice or would like to talk to us about hiring a floor sander, please feel free to get in touch. Safety Equipment: What do you need to sand a floor?